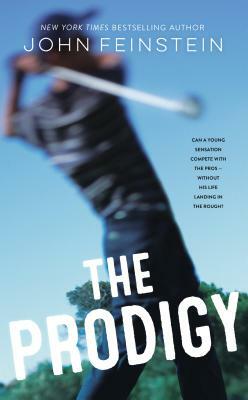 From award-winning sportswriter John Feinstein, a YA novel about a teen golfer poised to blaze his way into Masters Tournament history—and he’ll face secrecy, sacrifice, and the decision of a lifetime to get there. Seventeen-year-old Frank Baker is a golfing sensation. He’s set to earn a full-ride scholarship to play at the university of his choice, but his single dad wants him to skip college and turn pro—golf has taken its toll on the family bank account, and his dad is eager to start cashing in on his son’s prowess. Frank knows he isn’t ready for life on the pro tour—regardless of the potential riches—so his swing coach enlists a professional golfer turned journalist to be Frank’s secret adviser. Pressure mounts when, after reaching the final of the U.S. Amateur tournament, Frank wins an automatic invite to the Masters. And when the prodigy, against all odds, starts tearing up the course at Augusta National, sponsors are lined up to throw money at him—and his father. But Frank’s entry in the Masters hinges on maintaining his standing as an amateur. Can he and his secret adviser—who has his own conflicts—keep Frank’s dad at bay long enough to bring home the legendary green jacket? John Feinstein is the author of more than thirty books, including the #1 New York Times bestsellers: A Season on the Brink and A Good Walk Spoiled. He is also the author of numerous kids mysteries. His first young adult mystery, Last Shot, won the Edgar Allen Poe Award. John also works for the Washington Post, The Golf Channel, Sirius XM Radio and Comcast Sportsnet.